Students are instructed to write a friendly letter to someone they look up using a business letter format. 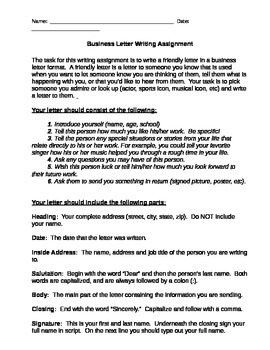 Directions outline what is to be included in the letter and the parts of the letter required (ex: heading, body, etc). I also have for sale an outline for the format of a business letter.